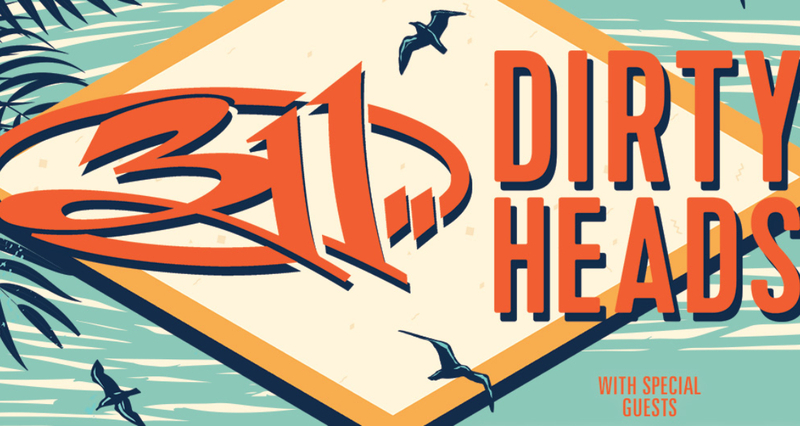 Tickets On Sale To General Public Starting Friday, March 22 at 10 a.m.
AUSTIN, TX (March 11, 2019) – 311 and Dirty Heads will join forces to bring their hybrid alternative sound and good vibes to amphitheaters nationwide this summer. Special guests The Interrupters will join on select dates, with their top #3 alternative hit single “She’s Kerosene.” Destined to be a great night of alt rock / reggae / and hip-hop stylings, the 29-date tour, produced by Live Nation, will kick off July 2nd and run through August 20th. The tour will stop in Austin on Wednesday, August 7, 2019 at Austin360 Amphitheater at Circuit of The Americas. Dreamers and Bikini Trill will also join the tour as support. Tickets go on sale to the general public beginning Friday, March 22nd at 10:00 a.m. local time at Ticketmaster.com. Get more show info at austin360amphitheater.com.